Rani Mukerji, who was last seen on the big screen in the 2018 film ‘Hichki’, is back to work filming the sequel to her 2014 hit film ‘Mardaani’. 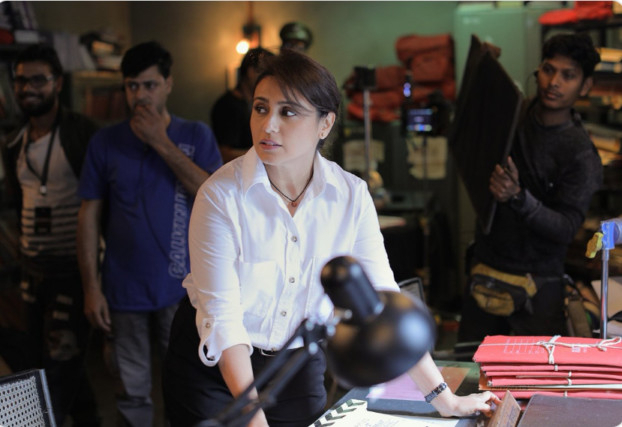 “Rani Mukerji starts shooting for ‘Mardaani 2’,” Yash Raj Films tweeted. The post also gave a glimpse of Mukerji’s look in the film. ‘Mardaani’ featured Mukerji as a tough senior inspector, Shivani Shivaji Roy, who took on the kingpin of a child trafficking racket played by actor Tahir Raj Bhasin. “Across the globe, people have given it a standing ovation. I think it has hit the right chord with everyone irrespective of the gender. The fact that we have tried to raise an awareness has been conquered. ‘Mardaani’ is and will always be extremely close to my heart,” Mukerji said. The film will be produced by her husband Aditya Chopra.